Suzanne started her career in state government working for the Department of Health and Department of Transportation. In 1998, she took a job as the accountant for American Land & Leisure in Orem Utah where she gained valuable knowledge in private industry accounting. 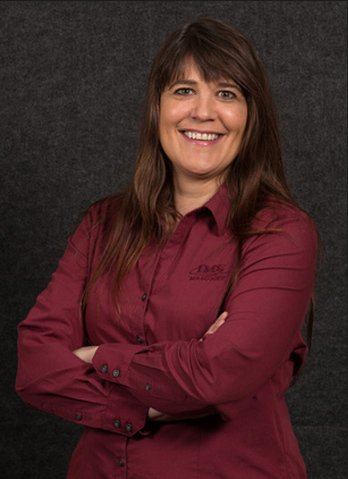 In September 2003, Suzanne was hired by IMS Masonry, Inc. and has been a valuable member of the team ever since. She is responsible for the overall Financial Management of the company and also oversees the Human Resources. Suzanne received her Bachelor’s Degree in Accounting at Utah Valley University. She is a member of the Construction Financial Management Association (CFMA). In her free time, Suzanne enjoys spending time with her family, riding ATV’s, reading and camping.